modern and serene in antwerp. | owl's house london. modern and serene in antwerp. Beautiful, serene interiors that belie the bustle of everyday life. Shown are three separate projects from the same design studio. 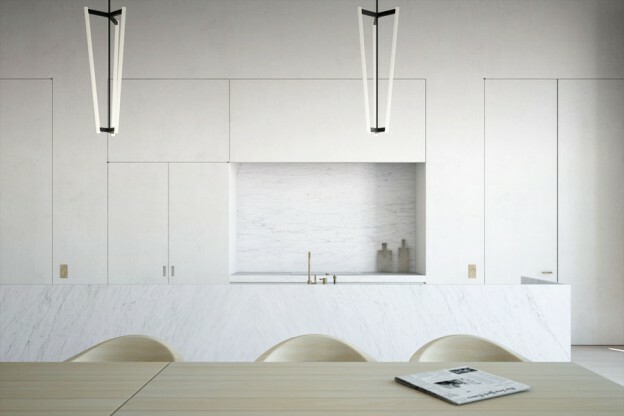 The kitchen below is minimally detailed, with a wall of white, streamlined cabinets with concealed handles and hinges and matt white marble countertops. Timber floorboards and furniture and brass taps add warmth to the palette. 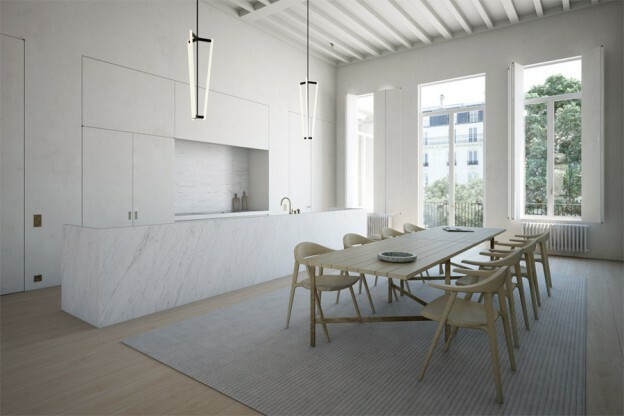 The soaring ceiling is simply adorned and brought back down to human scale with the elegantly minimal Tube Chandelier. 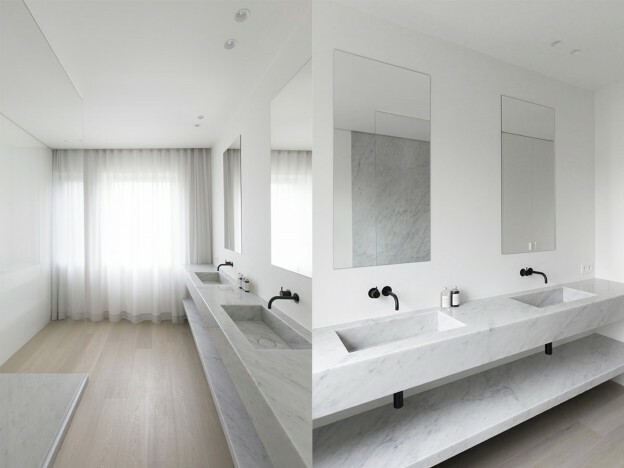 The monochromatic bathroom is kept clean and minimal with a linear marble countertop stretching end to end, with simple, rectangular mirrors and black Vola taps. The effect is softened by the diaphanous curtain to one end. I could move right in. What about you? All by Antwerp based Rollies + Dubois. This entry was posted in wonderful spaces. and tagged design studio, interior, interior design, Michael Anastassiades, monochrome, Rollies + Dubois Architecten on January 5, 2015 by owls house london..